Last week, I got over my fear of piercings and decided to get a nose ring. Last night, I got over my fear of cooking Italian food. Combine 1 cup Rice & Lentil mix with 2 cups of water in a pot and bring to a boil (or cook same about of your grain of choice). Cover with lid and simmer for 30-45 minutes. In a small pan, heat 1 tbsp extra virgin olive oil over medium-high heat, add minced garlic and cook for 1-2 minutes. Add onion and cook for 5 minutes or until translucent. 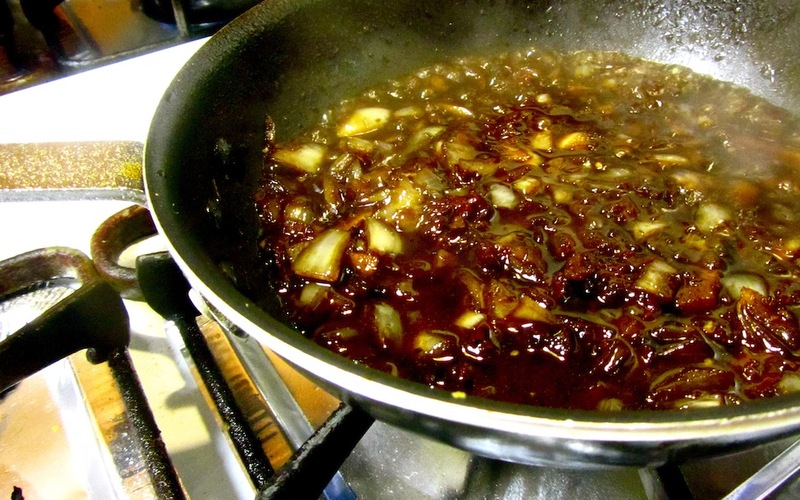 Add white wine, balsamic vinegar, sun-dried tomato and honey (if desired) and cook over medium-high heat for 15-20 minutes, or until reduced. It should steam, bubble, and reduce into a nice sauce (this smells amaaaazing on the stove!). In the meantime, heat 1 tbsp extra virgin olive oil in a medium to large pan. Add remaining vegetables, diced your fresh herbs, add them to the pan and cook until the veggies are tender. 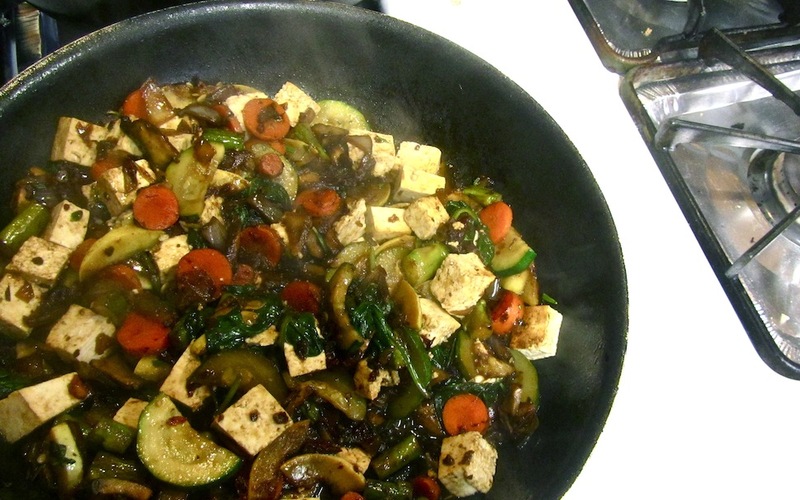 Add tofu & reduction sauce when it is ready to the pan and cook for another 3-5 minutes. 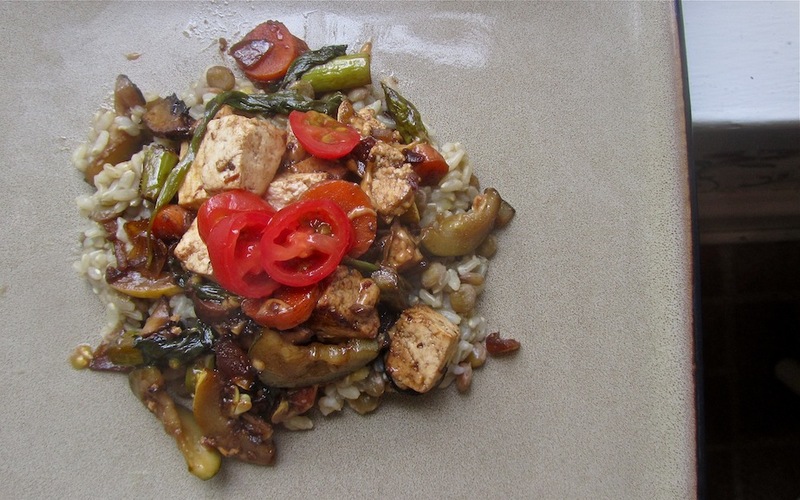 Serve with rice & lentil mix. Top with Mozzarella daiya cheese and sliced cherry tomatoes, if desired. I tend to shy away from salty and oily dishes. I guess this is because I eat a LOT of nut butter and get my oils from other places. 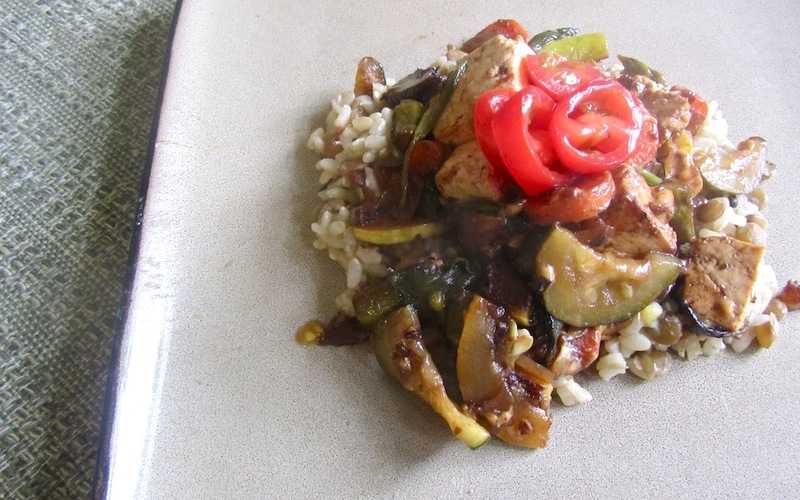 I let got of that hesitance with this dish and the turnout was delicious! It would have been nice to have sun-dried tomatoes that weren’t drowning in oil. 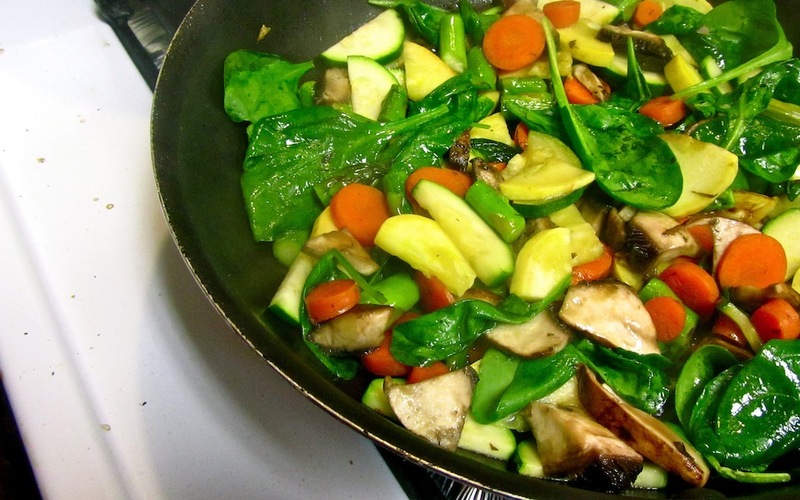 You can cut out extra oil by steaming your vegetables and then mixing it with the reduction. As you can see, I don’t use a lot of salt – but I’m sure a sprinkle in the rice & lentil mix, as well as one on the vegetables would really bring out the flavor. This was my first time trying vegan cheese, and I must say – I’m pleased. Daiya cold and fresh out of the package? Not as tasty as it melted over veggies and rice. Gotta give that stuff a little heat before it’s edible (in my humble opinion). I’ll get that recipe up soon. Until then. Eat, drink, and be merry. And watch this marathon of the Nutcracker that’s on TV like me!